Welcome to the Birmingham Society of Botanical Artists! Birmingham is one of the few cities to have two botanic gardens, one at Winterbourne (part of the University of Birmingham) and the other the Botanical Gardens and Glasshouses close by in Edgbaston. 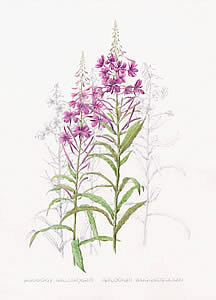 The Birmingham Society of Botanical Artists was formed in 1999 by graduates of the University of Birmingham’s Certificate of Higher Education in Botanical Illustration. The course took place at Winterbourne Botanic Garden, the Edwardian Arts and Crafts house and garden and attracted artists, botanists and horticulturalists alike. Botanical illustration is where art and science meet, combining acute observation with the artist’s eye for the depiction of beauty. The aim of the Society is to continue the skill of botanical drawing and painting and to encourage members to develop and grow by providing a monthly programme of talks, workshops and practical sessions.